It is par for the course that with oil hovering between $70 and $80 per barrel Americans have continued to buy SUVs and Trucks at a rapid pace. Politicians don’t have constituents screaming at them because gas is $4.00 per gallon, so it is no longer an issue for them. They need to focus on the November elections. It is no time to discuss a difficult issue that requires foresight and honesty. It is no time to tell the American public that oil will be over $200 a barrel within the next 5 years. Anyone who would go on CNBC today and declare that oil will be over $200 a barrel would be eviscerated by bubble head Bartiromo or clueless Kudlow. 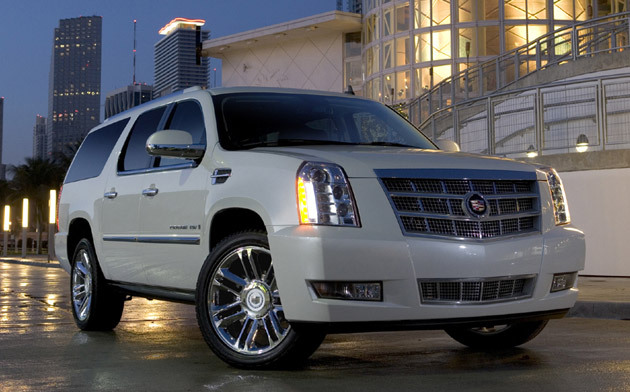 Bartiromo filled up her Escalade this morning for $2.60 a gallon, so there is no looming crisis on the horizon. The myopic view of the world by politicians, the mainstream media and the American public in general is breathtaking to behold. Despite the facts slapping them across the face, Americans believe cheap oil is here to stay. It is their right to have an endless supply of cheap oil. The American way of life has been granted by God. We are the chosen people. A funny thing happened on our way to permanent prosperity and unlimited cheap oil. The right to prosperity was yanked out from underneath us by the current Greater Depression. The worldwide economic downturn has masked the onset of peak cheap oil. Therefore, when it hits America with its full fury, it will be a complete surprise to the ignorant masses and the ignorant politicians who run this country. A Gallup Poll in August asked Americans about our most important problems. Where is the concern about future energy supplies? It isn’t on the radar screens of Americans. They are probably more worried about whether The Situation will hook up with Snookie on the Jersey Shore reality show. It is not surprising that the American public, American politicians, and the American media don’t see the impending crisis. The organizations that have an interest in looking farther than next week into the future have all concluded that the downside of peak oil will cause chaos throughout the world. The US Military, the German Military, and the UK Department of Energy have all done detailed studies of the situation and come to the same conclusions. Social chaos, economic confusion, trade barriers, conflict, food shortages, riots, and war are in our future. World oil peaking is going to happen, and will likely be abrupt. World production of conventional oil will reach a maximum and decline thereafter. Oil peaking will adversely affect global economies, particularly the U.S. Over the past century the U.S. economy has been shaped by the availability of low-cost oil. The economic loss to the United States could be measured on a trillion-dollar scale. Aggressive fuel efficiency and substitute fuel production could provide substantial mitigation. The problem is liquid fuels for transportation. The lifetimes of transportation equipment are measured in decades. Rapid changeover in transportation equipment is inherently impossible. Motor vehicles, aircraft, trains, and ships have no ready alternative to liquid fuels. Mitigation efforts will require substantial time. Waiting until production peaks would leave the world with a liquid fuel deficit for 20 years. Initiating a crash program 10 years before peaking leaves a liquid fuels shortfall of a decade. Initiating a crash program 20 years before peaking could avoid a world liquid fuels shortfall. It is a matter of risk management. The peaking of world oil production is a classic risk management problem. Mitigation efforts earlier than required may be premature, if peaking is long delayed. On the other hand, if peaking is soon, failure to initiate mitigation could be extremely damaging. Economic upheaval is not inevitable. Without mitigation, the peaking of world oil production will cause major economic upheaval. Given enough lead-time, the problems are soluble with existing technologies. New technologies will help, but on a longer time scale. The Hirsch Report clearly laid out the problem. It urged immediate action on multiple fronts. It is now 5 years later and absolutely nothing has been done. In the meantime, it has become abundantly clear that worldwide oil production peaked between 2005 and 2010. The Hirsch Report concluded we needed to begin preparing 20 years before peak oil in order to avoid chaos. We are now faced with the worst case scenario. Global chain reaction: “A restructuring of oil supplies will not be equally possible in all regions before the onset of peak oil,” says the study. “It is likely that a large number of states will not be in a position to make the necessary investments in time,” or with “sufficient magnitude.” If there were economic crashes in some regions of the world, Germany could be affected. Germany would not escape the crises of other countries, because it’s so tightly integrated into the global economy. Even the International Energy Agency, which has always painted a rosy picture of the future, has even been warning about future shortages due to lack of investment and planning. Americans think that the discovery of oil on our soil in 1859 has entitled us to an endless supply. It is not so. We account for 4.3% of the world’s population but consume 26% of the world’s oil. As China, India and the rest of the developing world become economic powerhouses, they will consume more and more of the dwindling supply of easily accessible oil. As the consumption curve continues upwards, the production curve will be flat. The result will be huge spikes in prices. It will not be a straight line, but prices will become progressively higher. As the studies referenced above have concluded, the result will be economic pain, social chaos, supply wars, food shortages, and a drastic reduction in lifestyles of Americans. They won’t see it coming, just like they didn’t see the housing collapse coming or the financial system collapse coming. They’ll just keep filling up those Escalades until the pump runs dry.